CommView for WiFi includes the functionality that allows users to edit and send arbitrary 802.11 a/b/g/n packets (commonly referred to as "packet generation" or "packet injection") through the wireless adapter. This functionally is used by WLAN engineers for many different purposes, including hardware and software testing and troubleshooting, security honeypots, etc. 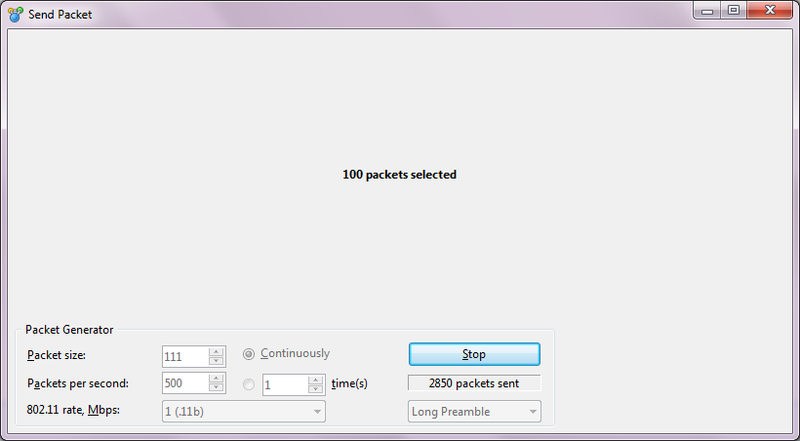 One of the possible applications of this functionality is a simulation of multiple access points. This brief guide describes how this can be achieved. It is assumed that the reader has extensive knowledge of the underlying WLAN technologies, 802.11 frame formats, and some experience with CommView for WiFi. 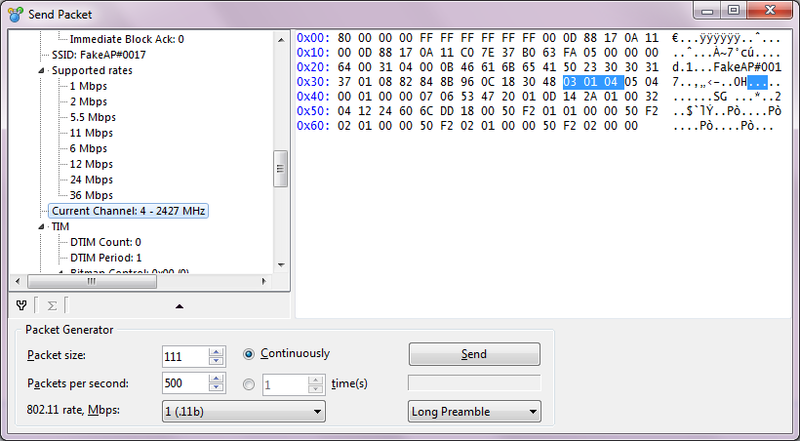 To be able to generate packets, you must have a compatible adapter that supports packet generation. 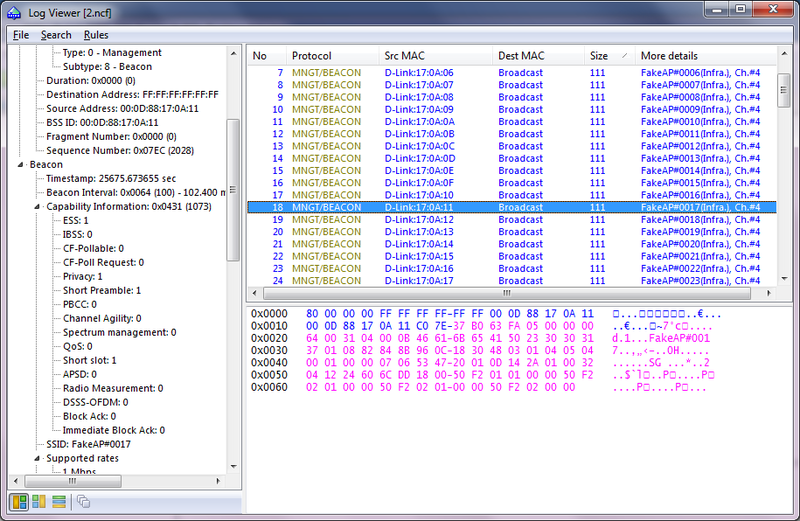 Most of the adapters supported by CommView for WiFi are capable of packet injection. You can see the list here. All the adapters marked as "Recommended" support packet injection. Some of the adapters not marked as "Recommended" also support it; see the technical notes. Yes, a long list of available APs. 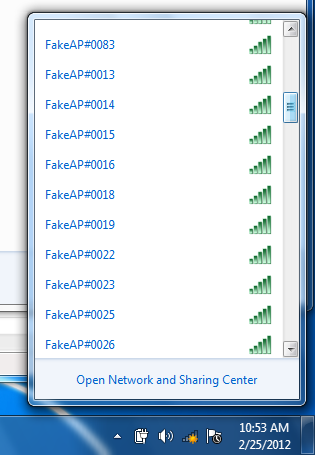 Just no chance to connect to them:-) If you want to simulate many APs on different channels, use several computers running CommView for WiFi, each of them sending packets on a different channel.